The coming Saturday, October 23, Hutchinson, Kansas, offers some unique opportunities to get in the spirit of the season....maybe multiple spirits if you're lucky. The Kansas Underground Salt Museum, The Hutchinson Theatre Guild, The Reno County Historical Society are all involved in a set of package deals for a bit of Halloween season entertainment called Hutch Haunts. 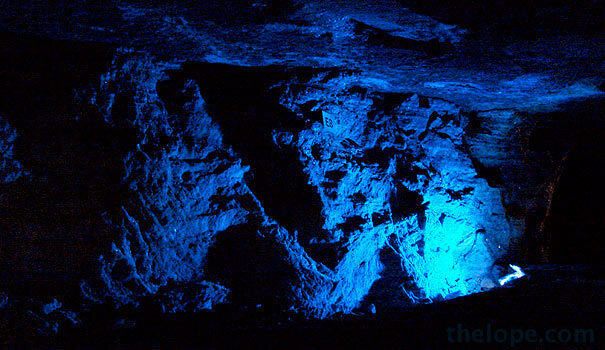 The full package includes the guild's Talking Tombstones, tours of reputedly haunted downtown locations and more ghost stories in the Kansas Underground Salt Museum where there's an option to spend the night. There will also be reports by Hutchinson Area Paranormal Investigations and Kansas City's Paranormal Encounter Documentation and Research Organization. See the event website for packages and prices. 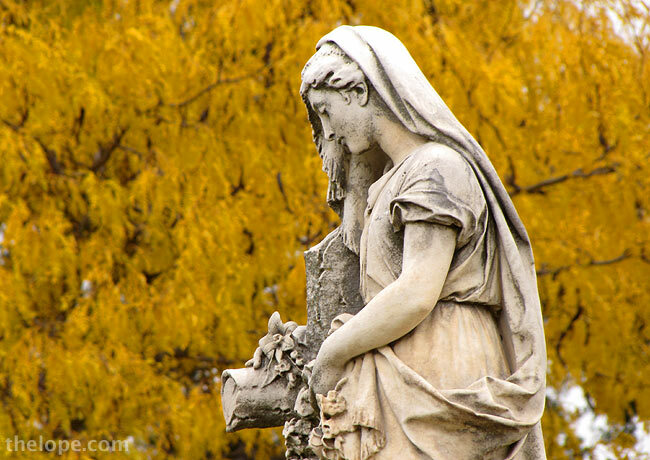 Eastside Cemetery will once again be the setting for Talking Tombstones. I've enjoyed Talking Tombstones in 2007 and 2008. 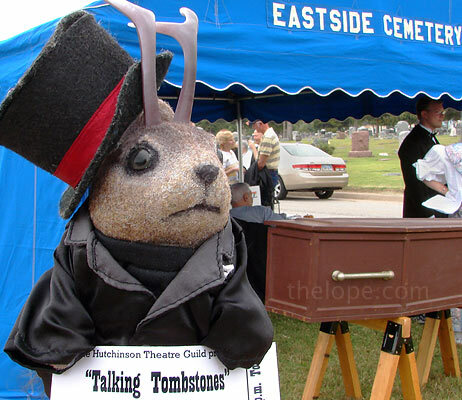 It's not mentioned on the Hutch Haunts website, but an 8:30 pm performance of Talking Tombstones will be available as a separately ticketed event at Eastside Cemetery. They usually have a tent where you can buy tickets and you are advised to get in line by about 8:15 pm. 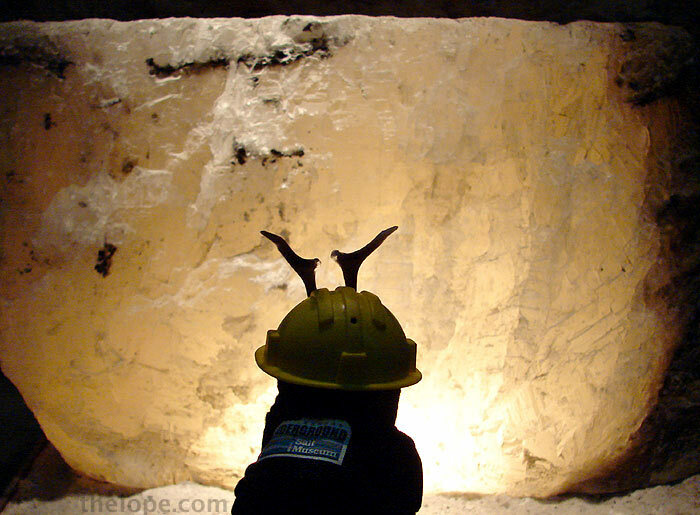 Ace regards a huge hunk of salt in the Kansas Underground Salt Museum, where you could sleep 650 feet underground this Saturday night. Rest assured - that's about 642 feet under any vampires or zombies that may lurk in the graveyards above. 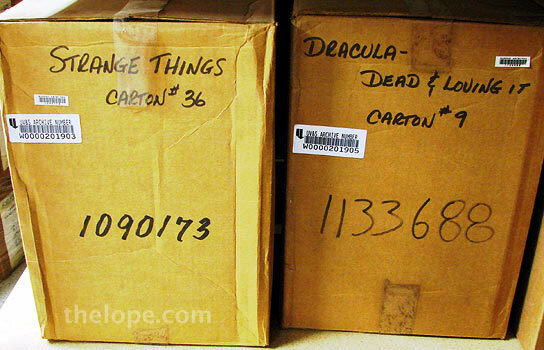 Now, neither zombies nor vampires are mentioned as part of the tours Saturday - I'm just speculating here based on a lifetime of watching B-movies. But if there were zombies and vampires in Hutchinson, I wouldn't worry about them reaching you in the Underground Salt Museum. There'd be a lot of salt between them and you, like this deposit of recrystallized salt. By the time they made it through all that salt they'd be dried out like...well, like mummies. So, I guess what I'm saying is that there's a slight possibility that mummified zombies or vampires could reach you but that's unlikely. I mean, for one of the undead above to reach you in the mine, they'd have to claw down through 80.25 feet of soil and salt per hour (assuming an 8 hour night) and by the time they got to you it'd be daybreak so the vampires would be at a disadvantage. Actually, I guess sunlight doesn't really matter to vampires if they're 650 feet underground. 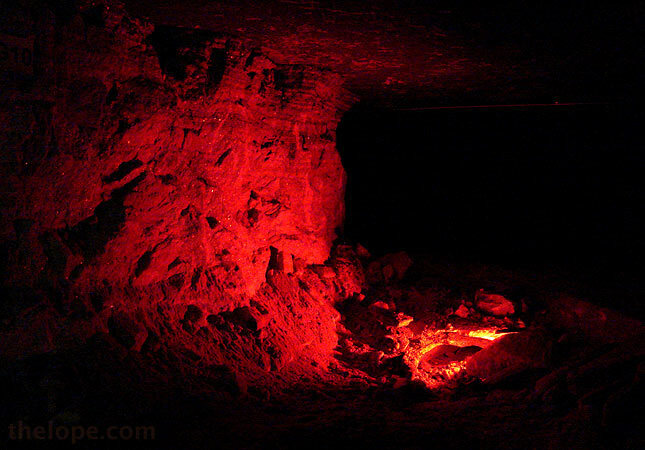 Come to think of it, it's well sheltered from the sun down there year 'round so I suppose vampires could already be lurking around any darkened tunnel in the mine. Again, there's no mention of this..I'm just saying. Now, as to zombies, mummified or plain, I wouldn't worry. 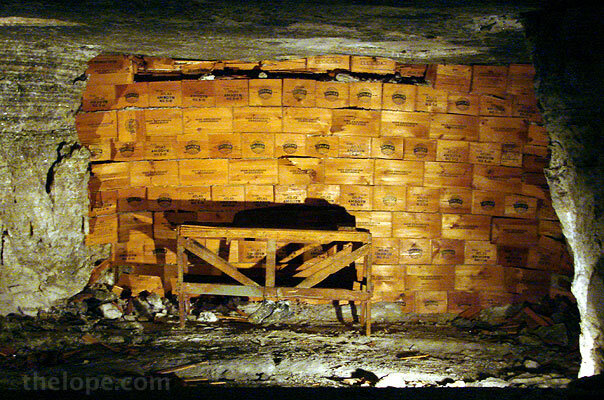 There are plenty of old boxes of explosives and such with which you could build a wall, as in what the miners called a "gob wall" (for "gobbed together"). And there's plenty of old mining equipment with which you could fight mummified zombies. 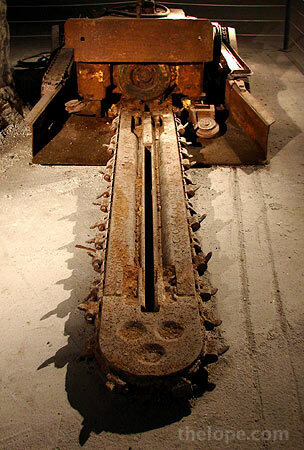 This mean-looking undercutter comes to mind. 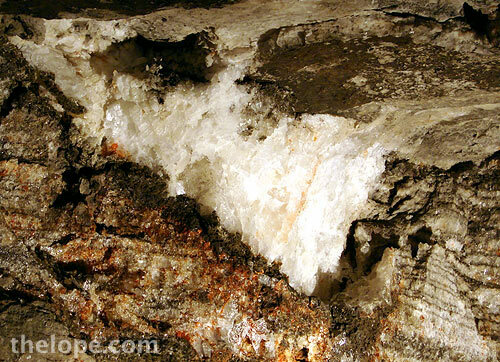 It was used to undercut salt so that when explosives in a wall of salt were detonated, the stuff would fall nicely. Of course, the undercutter is rather loud so zombies would hear it coming, but they're not too bright so it would probably still be effective. I imagine a mummified zombie would cut pretty much like beef jerky. Now, were you a zombie or a vampire, you could always raid the treasures stored down there and host a movie night, showing films about your relatives. That would be very convenient, especially as there's lots of salt for the popcorn.